1. 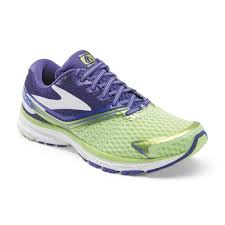 I am still loving my Brooks Launch 2’s, and plan to order a second pair on pay day to break in for the marathon. I love how lightweight they feel, the cushion they provide my legs, and the fact that my feet rarely (after racing last weekend everything hurt, lol) hurt after a long run. Winning all the way around. Maybe I’ll get this color this time, what do you think? 2. 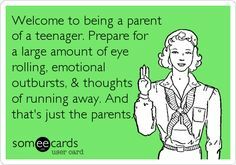 I am not loving being a Mom to a teen. I LOVE her…but wow, no one gave me the listed side effects in advance that come with raising a teen. These side effects include the following, keeping in mind this list is NOT all inclusive. Was I this terrible? Don’t answer that…I think I better apologize to my Mom for the umpteenth time for being such a crappy teen. LOL!!! 3. 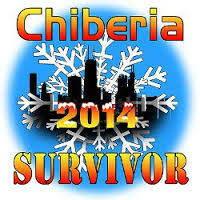 I am loving the warmer temps here in the Chicagoland area. It’s SOOOOOOOOOOOOO nice to be out running in a tank and shorts. Despite having to slow down and watch my breathing, there’s nothing like the sunshine on your face and the wind in your hair after a long day of work. I have however, forgotten my bug spray and sunscreen on my last couple runs. 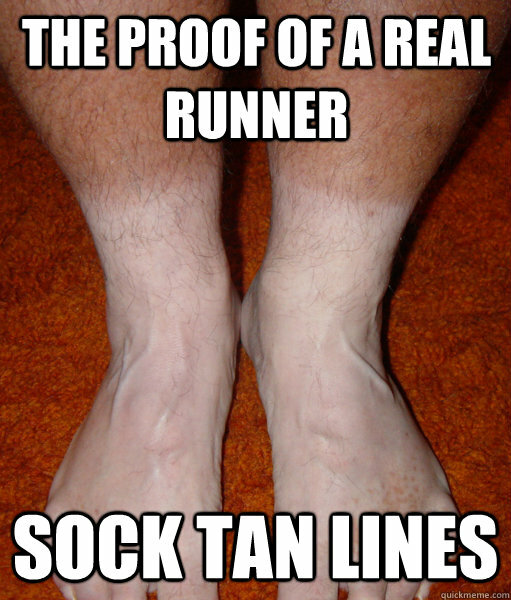 Here comes the runner’s tan!!! 5. I am loving the fact that every day I dig a little deeper and reach a littler further towards my goals. Whether it’s simply pinning one of MY recipes on Pinterest, or writing up a new blog post, I am reminded daily that I won’t give up on my dreams. Tomorrow calls for 14-18 miles for my long run that I missed last weekend and then off to my youngest daughter’s first Ballet recital. I was super stoked to get the surprise that my Mom is driving down from MN to attend! YAY!!! What are you all loving/not loving lately? Any big plans for Mother’s Day weekend? Previous Post Tuesday, tostadas, and truths in no particular order! I love my Launch shoes too. At first I thought they were kind of bulky since I was used to the Pure Flows, but with my new(ish) inserts the Flows didn’t hold up very well. I’m loving that I’m almost over my cold! Yay! YAY for being almost over your cold!! Spring/Summer colds are no fun!! I love those colors for your shoes!! I am about to order a new pair of Kinvaras to break in before the marathon as well! I go through shoes so fast now it’s ridiculous. Thanks!!!! I can decide if I should get the same bright pink color I have or these more subdued ones, LOL. I don’t run half as many miles as you, but I know I’ll need some new ones for the marathon!! You’re scaring me with the teenager stories!! My kids are 2 and 3 lol! AHHH, Helly, it’s a whole different ballgame once they hit puberty. It’s no wonder I can’t give up my one vice of wine drinking, LOL!!! Smart shoes. They make you want to run. I highly recommend them!!! Thanks for stopping by, Richard! PS enjoy your long run. I will, thanks!!!! Have a wonderful weekend, Richard! Shoes become a huge addiction…who ever said this sport was cheap, LIED, LOL!!!! I’m loving the weather too! Hot and sunny, but not too humid yet. Hooray for Friday! 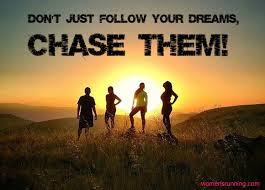 Have fun on your long run tomorrow! Thanks!!!! Have a great weekend!! It’s been a struggle in regards to shoes when Brooks switched to the Ravenna 4’s…so happy to have found something new that works!! Happy early birthday to your teen!!!! Oh….TEENAGERS!! I’m NOT loving that either!!! They need to have a DAILY instruction manual on their behavior, so what you know what to expect!! I LOVE my Brooks Adrenalines! Those have been my favorite for a while! I took a break and used the Pure Connect, but eventually returned to the Adrenaline. It’s SO HOT in FL…makes the runs unbearable!! But I’m glad that you have some good weather!!! They sure can try our patience, can’t they!?!? We are going to Florida in July for vacation!! Have a wonderful weekend! Also loving this runderful weather. And the weekend off to enjoy some fam jam time! Have a great run tomorrow! Thanks!!! Have a great weekend, too!! ❤ thanks Wendy! I knew you'd understand! Yay for tank top weather! We’re finally getting that in Alaska too (without the humidity though, thank god!) and I’m so excited! Love the color of those shoes! I am terrified for when my little guy becomes a teenage. I still have more than 10 years to go, so we’ll cross that bridge when we come to it! Hang in there!! I love the Brooks too. I wear the Ghost 6. This is my 3rd pair! I love the shoe color you posted above. Go for it! I think I will!! Thanks!! I love the colour of your shoes. Lime is one of my favourites at the moment but my shoes never seem to be made in anything other than pink or aqua. My current ones are pink lol!!! Happy Mother’s Day, by the way! !